You’re going to marvel at the life Laurelee Blanchard endured and you will be endlessly inspired by how she used her experiences and success to be a hero for animals. You’re going to fall in love with every rescued animal at Leilani Farm Sanctuary. Their stories will make you cry and their rescues will make you stand up and cheer! Finding Paradise is one of the greatest books I’ve ever read. It reminded me that we live among some truly special and unforgettable people in this world. Laurelee Blanchard is one of those people. This book should be #1 on the New York Times Best Sellers list. It’s that good. I was blown away. I wish everyone would read it. What a story! What a life! What a hero! 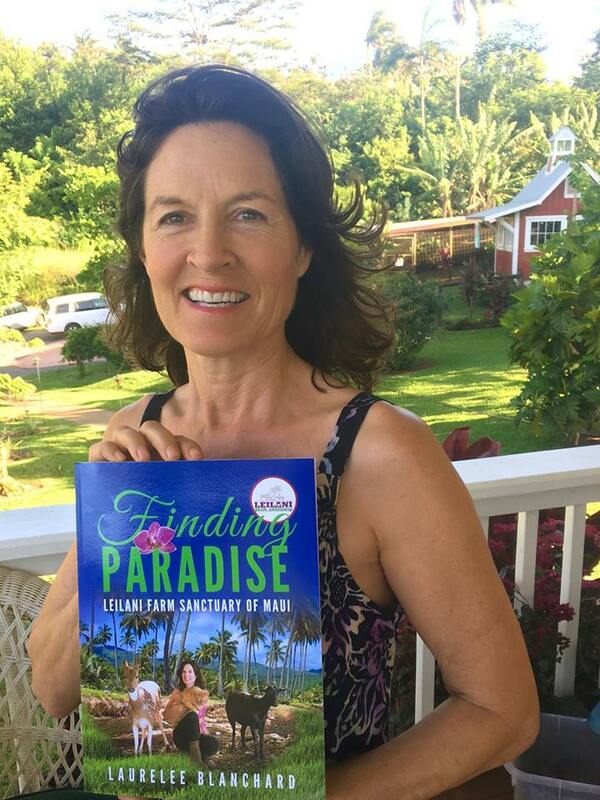 Click here if you would like to purchase Finding Paradise on Amazon. All proceeds go to Leilani Farm Sanctuary! Thank you for writing it. I mean every word in my review! I’m honored to know you! The book is sensational! Thanks for review. Adding this to my reading list.